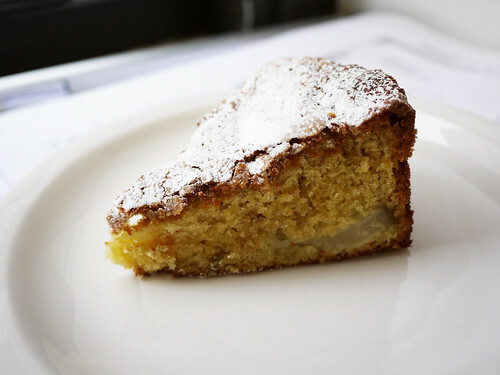 In brief: The addition of pear to this olive oil cake by Boubouki gave it a bit of panache that we quite liked. The crumbly top was also perfectly crunchy in the way of olive oil cakes. Mikey likey.